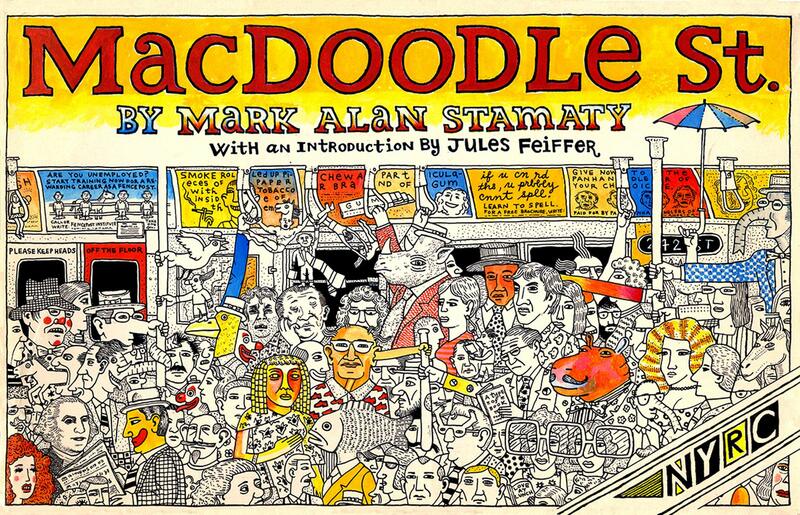 Mark Alan Stamaty Returns to MacDoodle St.
a brand-new, twenty-page autobiographical comic by Stamaty explaining what happened next and why MacDoodle St. never returned, in a unique, funny, and poignant look at the struggles and joys of being an artist. When I started doing MacDoodle St., I had been doing children’s books mostly at that point and I wanted to really play with the form as loosely as I could. I wanted to innovate, I wanted to hopefully bring something to it that I hadn’t seen, that I didn’t know. So it was really like, this is a great form, what else can it be? Mark Alan sits down with Tobias Carroll, for Bedford & Bowery, to reminisce about MacDoodle St., his career, the good ol’ days of an affordable New York City, and more. Yes, I can tell the exact words I said. Jules said, “These new strips you’re doing, this new work you’re doing, is very brave.” He was complimenting me on it. 24 queries in 0.149 seconds.